The pilgrim’s lace is a shoelace pilgrims get in their starter kit. 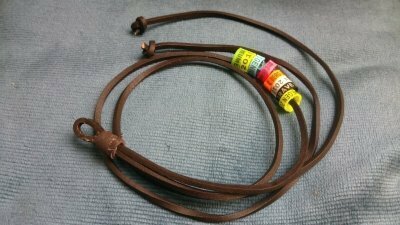 The lace serves as as a charm bracelet: in each of the 11 municipalities along the route you collect one pigeon ring with the name of the municipality. Togethers the rings are proof of completion of the route. The pilgrim’s lace is in leather, but you can ask for a free vegan alternative.